Summertime weather calls for sunshine and warm temperatures, and the living in Key West is tropical. Translation: hot and humid. 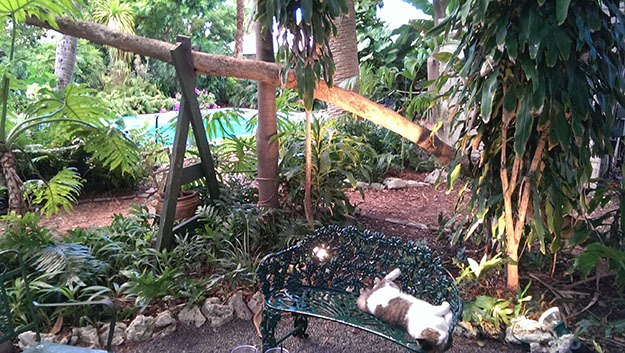 However, Key West has great ways to cool off while still enjoying the island’s natural beauty. Summer is considered by many to be the best time to visit. It’s not as crowded as during the winter season and the crowd that does head to the southernmost city is laid-back and mellow. Breezes are balmy, seas calm, water clear and just-right warm; fishing is great, snorkeling perfect, lobster season starts, fun festivals happen throughout. Whether just hanging at Fort Zach beach, lounging by the hotel pool, or adventuring on the many water adventures, slather on the sunblock and take advantage of water, water, everywhere. Getting out on the water is easy. The hard part is deciding which of the many Key West watersports to do. Insider tip alert: there are two different bodies of water surrounding Key West, the Atlantic Ocean and the Gulf of Mexico. The Atlantic side is where the Florida Reef lies. It’s a favorite for snorkelers and scuba divers, and beyond the reef, where the water gets increasingly deep, turning from blue to indigo, deep sea fishing is spectacular. On the Gulf side, the “backcountry,” water is shallower, calmer, and turquoise. Mangrove forests line the coastline, and small islands, shallow flats and patch reefs sprinkled here and there make for great kayaking, guided flats fishing trips, snorkeling over shallow reefs and sponge fields and paddleboarding. Just pick one, dive in and do it! 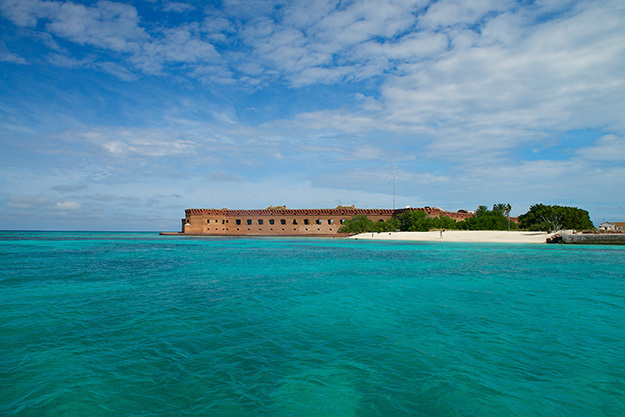 Set aside a whole day, get up really early and head out to the Dry Tortugas and Fort Jefferson aboard sleek, fast, roomy, comfortable Yankee Freedom III. The 75 mile ride to the fort is wonderful. Sit out on the outdoor decks or relax inside in air-conditioned comfort and enjoy a continental breakfast. The fort is fascinating and allows you to explore all of its history. Snorkeling is fun, and gear is provided. The ride back, with refreshments available at the bar, is friendly and relaxed. Be sure to book early as it’s extremely popular year-round, especially in the summer when the seas are calmer and the water warmer. Fishing guides in all kinds and sizes of charter boats work out of the island’s various marinas. For great off-shore fishing, Key West’s charter boats go off-shore for mahi, wahoo, sailfish, tuna or shark. Getting into any one of these is a thrill of a lifetime! Depending on the weather, wind, tides and tastes, these experienced charter boat captains will also fish just off the reef and around wrecks for tarpon, grouper, cobia, and kingfish. Flats fishing is entirely different, but just as thrilling in a quiet way, and is very popular in the Keys. Keen-eyed charter captains glide their slim boats quietly through backcountry flats in search of bonefish, permit, snapper. For a not-as-pricey option, head out for a half day of good fishing aboard a party boat like the Gulfstream II for a run at grouper and snapper. Everyone loves an adventure, especially one involving water! All the great snorkeling and water adventure choices are here…lots of them! For family fun with a thrill factor, spend a day with all the water toys – kayaks, waverunners, banana boats, water skis, parasails, kneeboards, snorkelling gear – all in the good company of helpful, engaging crews. Each is different; all are fun. The Ultimate Water Adventure and Power Adventure are two that we highly recommend. Looking for something a bit more relaxing? 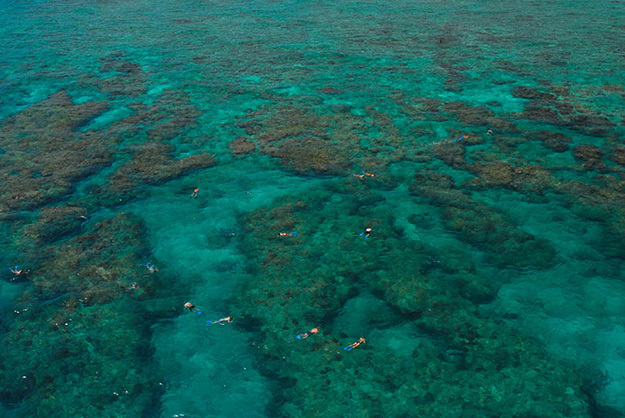 Snorkeling, kayaking or paddleboarding may be just the thing. Key West Snorkel and Sailing Adventure takes snorkelers over the shallow, colorful living reef just 5 miles off shore of Key West. Others explore the quiet subtlety of the calm, shallow water of the mangrove-laced backcountry to spot colorful fish darting through thriving patch reefs, spot fish lying among the mangroves and peeking out of rocks, rays, turtles, bonnetheads, bone fish in the water and herons and egrets wading in the water or flying low overhead. Key West Snorkel Safari Tour covers a wide area; Dolphin Watch & Snorkel Combo Tour is always on the lookout for almost ever-present dolphins. Kayaking and paddleboarding are wonderful ways to slip quietly over the shallows and flats and through mangrove tunnels. Unfurl the rainbow flag from one end of Duval Street to the other (from the Atlantic to the Gulf) in celebration of the island’s One Human Family diversity, and take part in events all over town. This annual event takes place the second week of the month. Celebrate art and artists of Key West through music, feasting, dancing, theatrical antics and more, all inside East Martello, a civil war era fort. Celebrate the writing and the lifestyle of the legendary author, who resided in Key West from 1931 to 1940, by attending events all over the island: the Running of the Bulls down Duval Street, Sloppy Joe’s Papa Look Alike Contest, short story competition, big stakes Marlin Tournament, 5K Sunset Run and Paddleboard Race and birthday party. Celebrate summer theater at the quaint Red Barn Theatre with plays, a theatre symposium, and Key West Radio Theatre. This event starts at the beginning of the month. Celebrate the real Key lime by indulging in everything Key lime – tasty temptations from margaritas and martinis to the legendary pie. This annual event takes place the weekend of Independence Day. Fireworks, Food, Family Fun! Celebrate the America’s independence the Key West way at the 31th Annual Hospice of the Florida Keys and Visiting Nurses Association’s Picnic along the waterfront at the Casa Marina Resort. Fun and food starts in the early evening; fireworks blast off once the sky is dark. Celebrate “Today’s the Day” treasure trove with treasure hunts, events, concerts, block & dock parties, pub crawls, and festive balls happening in and around Mel Fisher Museum. The celebration takes place the second week of the month. Celebrate the start of Florida Lobster season! How? Eat your way through a culinary street fair featuring everything lobster. Mystery buffs, aspiring authors and authors celebrate this literary genre through workshops, presentations and panel events with renowned crime fiction and true crime authors, including Jeffery Deaver, international bestselling, award winning author.